The Astros’ main competition for this season. Or can he? He’s short. After years of being the undeniably worst system in baseball, GM Jeff Luhnow and his new crew of awesomeness have come to Houston to rebuild this mess. Their 2012 draft was a masterful allocation of money within the new ridiculously strict CBA; they went under slot with the #1 overall pick and took shortstop Carlos Correa, a projectable Puerto Rican with insane raw power and the athleticism and glove to stick at short, at least until he grows out of it. They scooped up top 10 talent Lance McCullers Jr. in the second round. He throws 100 with a nasty curveball and if starting doesn’t work out, he could be a dominant closer. 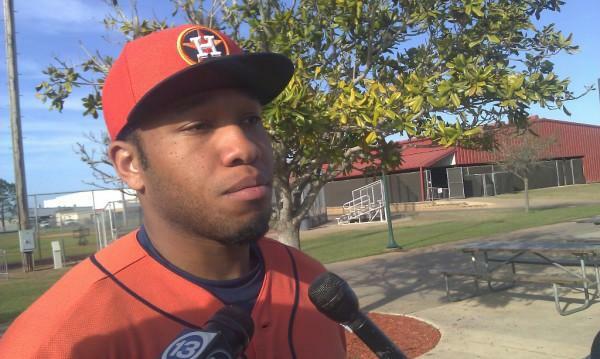 Jonathan Singleton may have been busted for a little pot, but a 50 game suspension will only delay his march towards the majors. He’s the best first base prospect in baseball, with a fantastic knack for hitting and easy plus power that should play in games. Rio Ruiz, another product of the 2012 draft, is a third baseman to dream on, with big power potential and the athleticism to stick at third base. Mike Foltynezncznewwzwcwnienwzwwinczincz is ready to take another step forward as a big right-hander with impressive velocity and a solid-average secondary arsenal. It’s a top 5 system, with even more talent that is intriguing but whoa whoa whoa remember this ?! The Houston Astros will not win the 2013 World Series. This entry was posted in 2013 Season Previews.